Achilles pain is a common injury and something that can be very debilitating and frustrating. Our principal physio, Caitlin, is here to tell you what it is, how it happens and most importantly what you can do to help it. Achilles pain generally comes to those people who are training hard for something and really don’t need or want to be interrupted by pain! Most of these people continue to train through the pain, as there is no time to rest and recover before their big day. The general comment is “I’ll get on to that when I’m finished with the race”. This is a fair comment, but not one that helps A) get you the best results on the day nor B) get you back to what you love in a short period. So what is it and how does it happen? 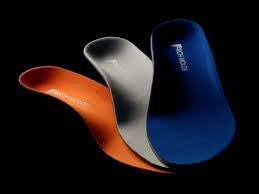 Achilles pain is generally termed Achilles Tendinopathy in the medical world. What this means is there is an injury within the tendon that starts off small and builds up. Initially there are small micro tears in the tendon itself, which may be brought on by increased training load, change in surface or shoes or a change in the type of training you are doing. 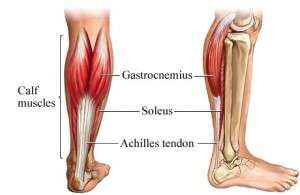 The body then tries to repair this micro tear, however while it is in the process of this, the achilles gets taken for another run (for example) and further micro tears occur. So the healing process starts again. And this continues to occur over and over again until the tendon is no longer the strong structure it was and is now a swollen and painful tendon that doesn’t take load very well. This swollen tendon then takes a lot of work to heal and recover back to its normal state. In most cases, if you get on to treatment and looking after it when the pain first starts, you will be back into your full training in a week or two. The alternative is to train through it and then be out of action for at least 2 months while you slowly rehab your very sore achilles. I know what I would prefer! So of course I better tell you what you can do about it! Get checked out – For starters it is best to get things checked out as soon as you start to feel your symptoms hanging around. This may just be a one-off assessment with aphysio orpodiatrist, to determine if you are wearing the correct footwear, if you require a heel raise ororthotics or if you are doing something in your training that may be contributing to your pain. Your physio will also give you appropriate exercises to build up your muscle and tendon strength correctly, for a full recovery. Rest – Unfortunately with these types of injuries, rest from the aggravating activity is key to have any chance at a quick and full recovery. If you get on to things soon enough, your rest period may not need to be long. If you pair this with the above exercises you will be feeling great in no time. Gradual return to exercise – This is the most important part of not only your return to activity but also in prevention of achilles pain in the first place. With a gradual build up of intensity and type of exercise, especially if the type of exercise is new to you, there is much less chance of re-injury and it gives your achilles a chance to build the appropriate strength. This also goes for the type of terrain you train on and the type of shoes you wear – it is never good to change something completely and then try to continue at the same intensity straight away. I hope this is helpful for those of you with niggly achilles, and for those of you who are yet to experience it, hopefully it will help you avoid it in the future! And remember, look after your body, you only get one of them!